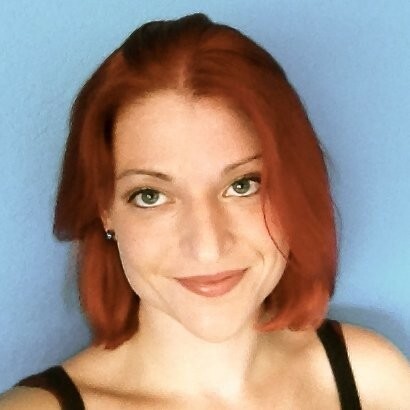 Courtney Brock manages business operations for Blockade Games in Austin, Texas. Its May 11, 2018 and I receive a surprise in the mail: an overnight package from FedEx. It’s addressed to my company, Blockade Games. Another surprise: Our bank, Wells Fargo, thinks we may be a money services business (MSB) and has a stack of paperwork for me to fill out. Thank you, traditional banking system. It’s not like we didn’t spend two hours answering all of these questions when we set up the account or anything. The document is from Wells Fargo’s “Enhanced Due Diligence Center.” Yeah, you’re probably rolling your eyes like I am. Even better, if they don’t receive the requested information by the deadline, they’ll close our account. Fantastic. Our contact’s name is Alex, and he’s actually pretty cool. He knows a little bit about cryptocurrency, but I have to do a lot of talking to explain how a video game company uses blockchain. He agrees we are not a money services business and instructs me on how to fill out the paperwork online. I’m sure there are lots of other small companies utilizing blockchain technology that are going through similar situations, so this post is dedicated to them. A special dedication goes out to everyone building and innovating in the cryptogames space. We formed Blockade Games in January to work on our first game, Neon District. The game hinges on a single concept: Almost every item is represented by a non-fungible token that has the ability to become rare and unique through game play. The things we’re doing are new, and finding the right words to describe them can be difficult. But I’ll give it a go. Stepping back, when talking to people about cryptocurrency I find most have at least heard about bitcoin. If they’re a little savvier, they might know about ethereum or litecoin. Some folks might have even heard about Ripple and XRP, but you can tell them that’s a story for another day. Outside bitcoin, cryptocurrencies can be called altcoins or tokens (there is also an unflattering term that rhymes with “bitcoin”). Each of these designations has a different definition based on how the coin’s blockchain is developed. Countries all over the world have different ways of classifying them for regulation and taxation. In Singapore, they’re considered a product until invested and then they get treated more like a stock. They’re a taxable asset in Israel and private money (whatever that means) in Germany. Rounding up the ranks as the most progressive jurisdictions, Japan and Australia recognize bitcoin as currency, though the internet seems to be in disagreement as to whether either has brought it into full legal tender status. In the U.S., bitcoin and all other cryptocurrencies are regulated as commodities. In other words, they’re fungible. Every ounce of gold or oil will cost the same amount as any other ounce of gold or oil. One satoshi of a bitcoin will always be worth the same amount as all other satoshis in a bitcoin, just like pennies in a dollar. In fact, the permanent public ledgers of these cryptocurrencies are so secure, it’s plausible we’ll see all forms of stocks and bonds tokenized in the coming decades. Fun fact: Diamonds are not considered fungible nor are they traded on a commodity market. As anyone who’s shopped for an engagement ring knows, each part of a diamond is different in cut and clarity, so much so that the price of diamonds as a whole cannot be standardized. Each diamond must be individually inspected to determine its value. Just like bitcoin is frequently called digital gold, non-fungible tokens (NFTs) could be called digital diamonds. The value of each token comes from a combination of rarity and identified desirable features. In the fall of 2017, teams from Decentraland and Cryptokitties attended the ETHWaterloo hackathon in Canada with a new protocol to play with. Called ERC721, it was a departure from ethereum’s ERC20 standard for smart contracts, which are both programmable and fungible. The features of ERC-20s make them the perfect vehicle for the ICO. But ERC-721s were designed for something different. The ERC-721 protocol makes each token unique. They may operate on the same smart contract, but each token has its own cryptographic signature. For example, each Cryptokitty has a unique genetic code that assigns a kitty with physical “cattributes.” These kitties can then be bred to produce a new tokenized kitty with its own genetic signature reflective of the genetic signatures of both parents. A player can’t counterfeit a CryptoKitty as each kitty’s authenticity is recorded on the blockchain. If being able to be able to distinguish a digital original from a digital copy weren’t revolutionary enough, CryptoKitties presented another new reality for digital games. For the first time ever, a player could truly own the digital assets they acquire within a game. When an asset is purchased, owned, or gifted, it belongs to the player and not the game. If the game servers shut down, the assets don’t go with it. If a player wants to sell an asset, that’s up to them. And one day when enough game developers are using this technology together, players may be able to transfer beloved assets from one game into another. On the surface, CryptoKitties can be seen as a silly game that briefly possessed people’s senses, causing them to spend over $20 million in ether on digital cats. In reality, CryptoKitties is a proof of concept for a technology with a mind-blowing range of potential use cases. In November of 2017, bitcoin had broken $10,000 for the first time, thousands of altcoins and tokens had been launched, billions of dollars raised by ICOs … and digital cats became the first widely adopted commercial use case of blockchain technology. It shouldn’t come as a surprise, though: games are always a testing ground for revolutionary technologies. Within a month, at least two to three blockchain games were being announced every day. It’s important to note that this wasn’t the first time blockchain technology had been incorporated into games or online collectibles. Several projects had already been paving the way, utilizing Counterparty tokens (fungible tokens created on the bitcoin blockchain.) However, the development of a non-fungible token standard was the spark of creativity needed to move crypto-gaming into the mainstream consciousness. It’s May 31, and I receive a second identical package from FedEx. I open it with a lot more side-eye than curiosity this time. Of course, it’s another money services packet from Wells Fargo. This time the letter informs me that that the bank has not received the requested information. At this point, I’m pretty confused because I know I sent back everything they needed the first time around. Fortunately, there is an email waiting for me from Alex stating that they had the original document and just needed to clarify a couple more items. I’m realizing that a large part of my job now involves educating professionals in other fields how to interface with a blockchain business. Especially banks. Despite the fact that we can accept crypto as a currency and will occasionally pay for business operating expenses with crypto as a currency, our blockchain product is not a currency. I can see why this is confusing as all get-out to them. Comparing NFTs to baseball cards is helpful. You can’t use a baseball card as money, but someone may pay money for a baseball card based on its unique and rare attributes. Alex thanked me for my help in understanding this new and crazy world. I’m sure it’s not the last time I’ll be explaining how this works. 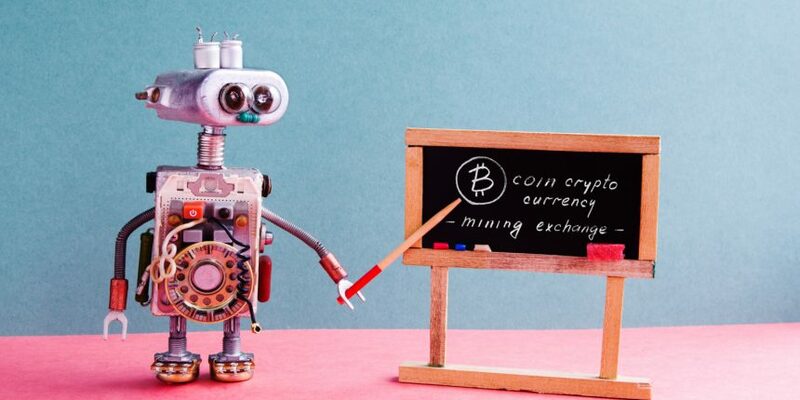 Explaining crypto image via Shutterstock.